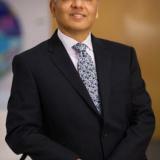 Dato’ Arif Siddiqui Former CIO & Group CIO Standard Chartered Bank & Islamic Banking, Malaysia Dato’ Arif was CIO of the Standard Chartered Bank in Malaysia Group CIO of Islamic Banking Standard Chartered. Prior to this, he was the Chief Executive Officer of Scope International Malaysia, Standard Chartered’s Global Shared Services Centre in Kuala Lumpur. He joined Scope International Malaysia in 2005 as the Head of International Software Centre Malaysia (ISCM) and was appointed as the CEO in 2007. Dato’ Arif was overseeing the full spectrum of Technology and Operations and is responsible for systems development, technology support and banking operations for the Bank’s retail and wholesale banking businesses in Malaysia. Dato’ Arif is a leader in the area of digital transformation and Innovation. In his, leadership Bank has implemented a number of digital initiatives to improve customer experience. Check out the incredible speaker line-up to see who will be joining Dato’ Arif .